SAN JOSE, CA / ACCESSWIRE / February 14, 2019 / Just released by ETF.com, Inspire's Corporate Bond Impact ETF (NYSE:IBD) has been named as a finalist in the "Thematic ETF of the Year - 2018" category for the 2018 ETF.com Awards. Here is what Inspire CEO Robert Netzly had to say about the fund being an award finalist: "We are truly honored that Inspire has been nominated as a finalist for these prestigious awards two years in a row. Every recognition like this validates the growth of the biblically responsible investing movement, including in the fixed-income space. We're excited that IBD is providing value to investors across the globe." 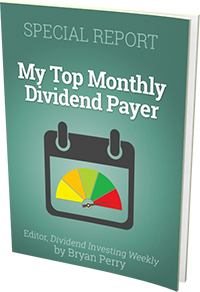 IBD invests in higher credit-quality, investment-grade fixed-income securities of some of the most inspiring, biblically aligned large companies in the United States, as measured by the companies' Inspire Impact Score. The Inspire Impact Score is Inspire's proprietary methodology of identifying alignment with positive, biblical values across environmental, social and governance categories. The Inspire Corporate Bond Impact ETF (NYSE:IBD) is the largest ESG themed fixed-income ETF currently on the U.S. market, beating out such industry giants as iShares, Nuveen and VanEck. IBD currently has assets of $66.10 million. To be recognized as a finalist, investment firms must be selected by the ETF.com Awards Nominating Committee comprised of senior leaders at ETF.com, Inside ETFs and FactSet. Only five finalists made it through to a nomination in the "Thematic ETF of the Year" category, including funds from Invesco, Amplify, VanEck, EventShares and Inspire Investing. The winners in each category are being announced at an exclusive gala dinner on March 28 at Chelsea Piers, Pier 61, in New York. Fixed-income securities will fluctuate with changes in interest rates. Typically, a rise in interest rates causes a decline in the value of fixed-income securities owned by the Fund. While the shares of ETFs are tradeable on secondary markets, they may not readily trade in all market conditions and may trade at significant discounts in periods of market stress. ETFs trade like stocks, are subject to investment risk, fluctuate in market value and may trade at prices above or below the ETF's net asset value. Brokerage commissions and ETF expenses will reduce returns. The Fund is a new fund with a limited history of operations for investors to evaluate. There is no guarantee that the Fund will achieve its objective. Securities in the Index or in the Fund's portfolio may underperform in comparison to the general securities markets or other asset classes.